So have you been inspired by the Olympics and how amazing team GB did at the cycling? I have been inspired but I know I wont see it through but I thought I would share with you another fab website I have come across spurred on by the Olympics! This is for anyone with the love of the outdoors and cycling introducing - "Saddle Skedaddle"
At Saddle Skedaddle they offer mountain bike holidays, cycling holidays and road cycling holidays so you have a choice out of those three. They cover a large amount of countries for their holidays from Austria to Peru! So there really is something to suit everyone. They also offer bespoke holidays and vouchers which can be tailor made to meet your requirements. Saddle Skedaddle use various styles of accommodation depending on the destination. Wherever possible it will be characteristic of the area you are visiting and always good quality. On group tours they provide plenty of snack stops en-route as well as a delicious buffet lunch, and where appropriate, tours include all your meals. 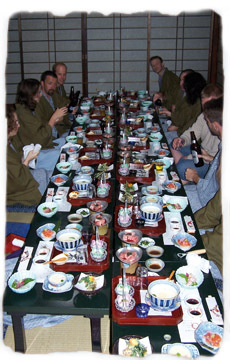 Check out the Tour Detail Panel on each holiday page to find out how many meals are included. They cater for vegetarians and other special dietary requirements. At Saddle Skedaddle you are welcome to bring along your own bike – many people prefer to. they’ll advise you on relevant airline procedures. If you’d rather use one of their bikes that's fine too. In most locations they hire either front suspension mountain bikes or road bikes made by the top bicycle manufacturer, Giant, and they also provide a helmet too. If you’re travelling abroad, you’ll get a recommended kit list in your Pre-departure Dossier. Support vehicles are used on most of their guided and supported trips, except where the routes don’t allow access. The vehicle carries all your kit as well as bike spares, repair kit, first aid, snacks and lunch, leaving you to travel light and enjoy your holiday. If, at a certain point on the ride you want to rest or forget cycling for the day, you can hop aboard the vehicle and put your feet up! As a member of the Association of Bonded Travel Organisers Trust Limited (ABTOT), an association approved by the Department of Trade and Industry, Saddle Skedaddle Limited has provided a bond to meet the requirements of the Package Travel, Package Holidays and Package Tour Regulations 1992 in respect of non-flight inclusive packages only. This bond provides security for money paid over by customers. Train travel and flights do not form part of their packages. However they can provide you with advice on relevant train, flights and general travel arrangements that tie into their holidays. Estimated flight costs from the UK are provided for each of their non-UK holidays. These are for your information only and are meant to provide a guide of what you could expect to pay. You will need to book flights directly with appropriate airlines and agents who will send you confirmation and tickets for those flights. Many of Saddle Skedaddles worldwide destinations are accessible via budget airlines and may be booked directly on the internet. At Saddle Skedaddle it appears that everything is well thought out and catered for, from the beginners of cycling to the pros. I really think they have everything sewn up! 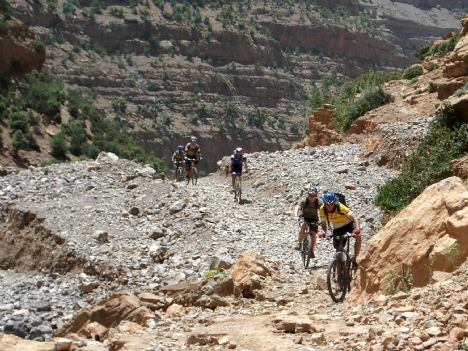 I really like the look of the Morocco Atlas Traverse mountain bike holiday, Departure Date: 07/09/2012 for the period of 7 Sep - 16 Sep.
An incredible mountain bike tour in the Atlas Mountains of Morocco. If great place to place mountain biking is for you then your going to love this holiday/biking tour! Now if I was any good at cycling then I would be on this trip like a shot! Thank you for inspiring too! Cycling has always been a fun holiday experience for those who are looking for a different kind of adventure. Do update your readers for this year's cycling getaway.